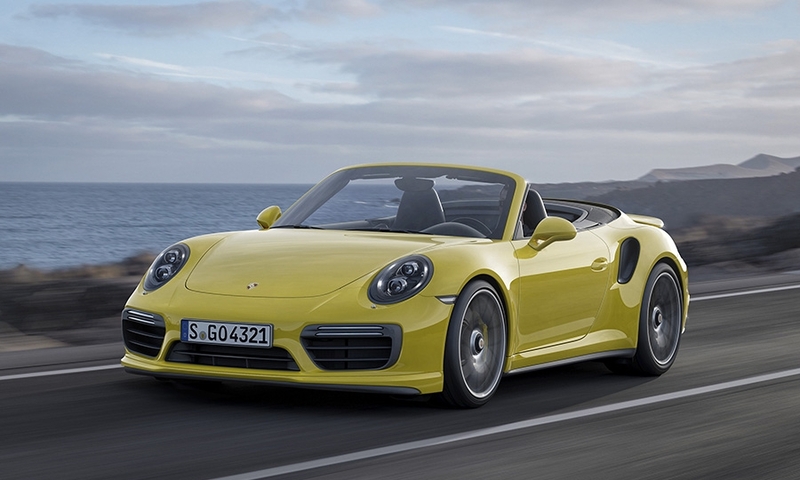 Porsche is bringing the revamped 2017 911 Turbo and Turbo S sports cars to the North American International Auto Show in Detroit next month. Both cars feature a host of powertrain improvements that shave more time off the 0-to-60-mph run. 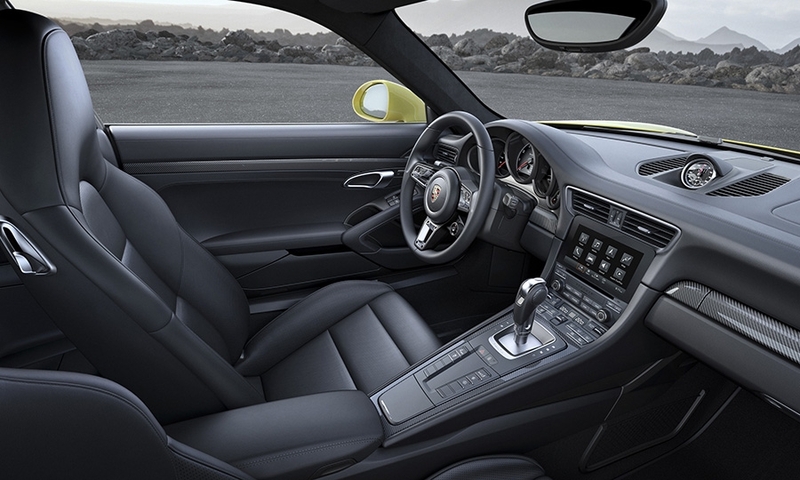 The 3.8-liter, twin-turbo, flat six engine powering the 911 Turbo gets a 20 hp bump to 540 thanks to redesigned intake ports, upgraded fuel injectors and boosted fuel injection pressure. 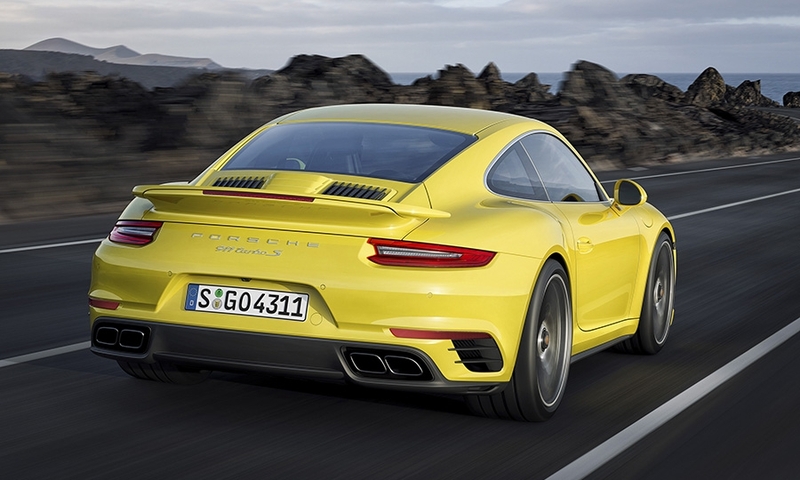 The 2017 911 Turbo S is rated at 580 hp, up from 560. 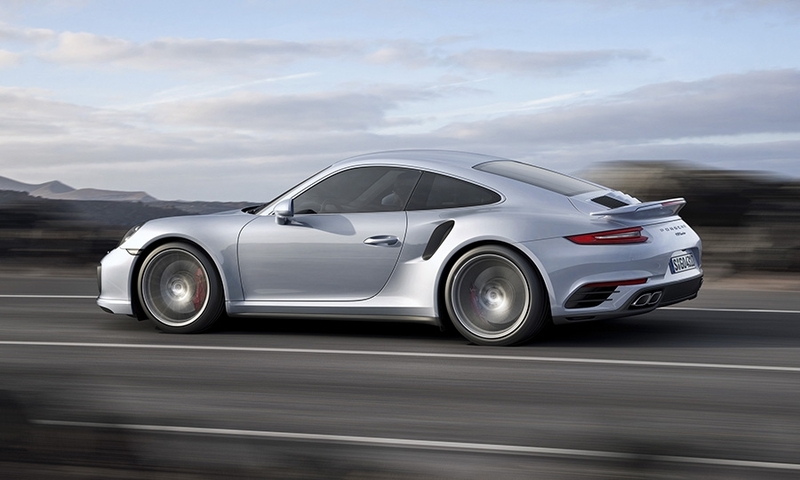 The car has new turbochargers with larger impellers that have variable geometry. 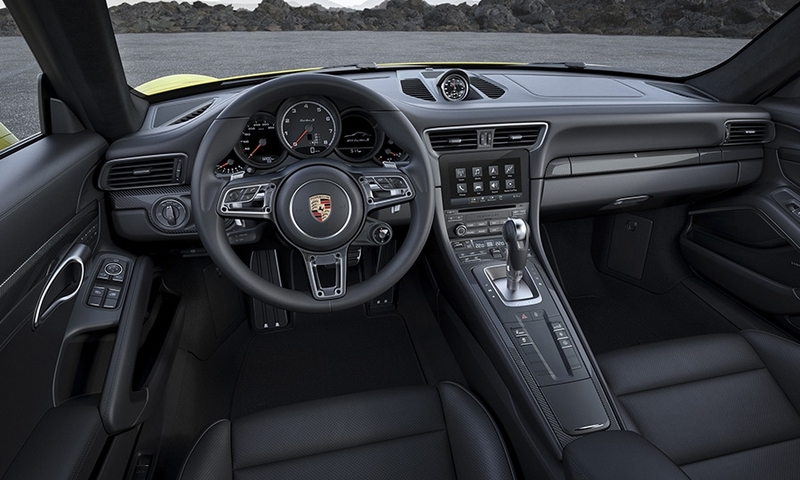 The engines in both models also have a dynamic boost function, which, Porsche says, reduces turbo lag and improves response by maintaining turbo boost pressure even when the driver takes his or her foot off the accelerator. “This is achieved by interrupting fuel injection, while the throttle valve remains partially open,” Porsche said in a statement. 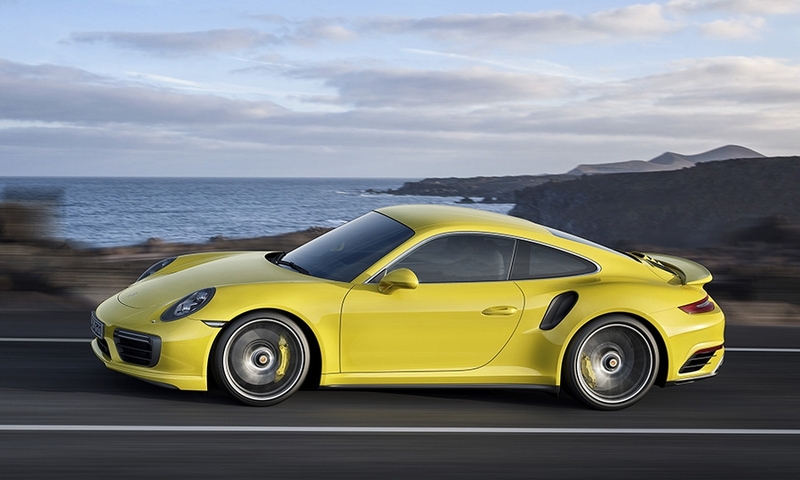 The Turbo S coupe is expected to reach 60 mph in 2.8 seconds, making it 0.1 seconds faster than the 2016 version. 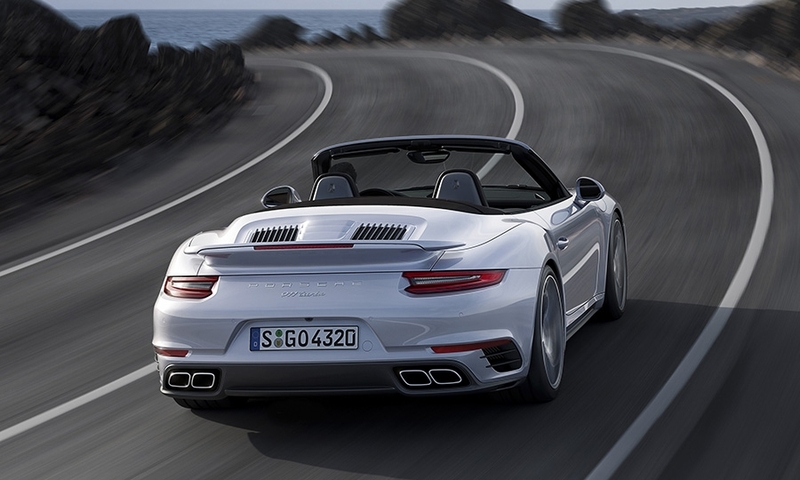 Porsche says the top speed is up 7 mph to 205 mph. 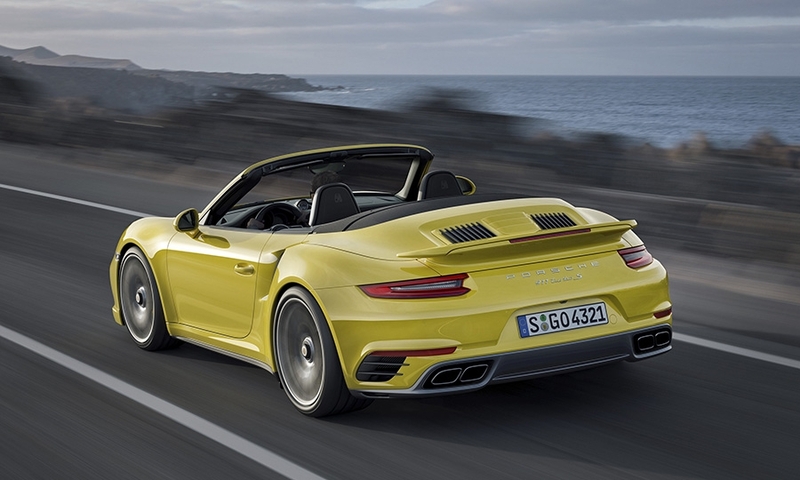 Porsche says the 2017 models will go on sale in April, with prices starting at $159,200 for the 911 Turbo, while the 911 Turbo S convertible will start at $200,400, excluding shipping.